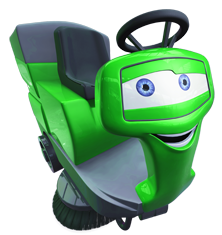 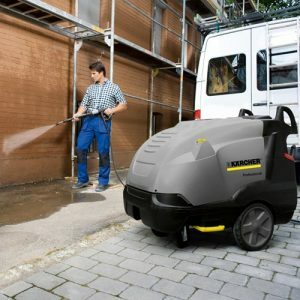 Perfect for all cleaning jobs in places where no power supply is available. 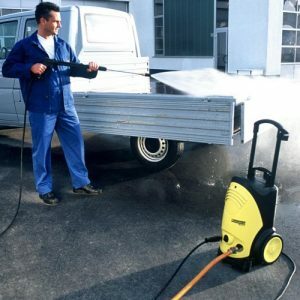 The Karcher HD 830 is a robust, mobile petrol-powered high-pressure cleaner mounted on a tubular steel chassis. 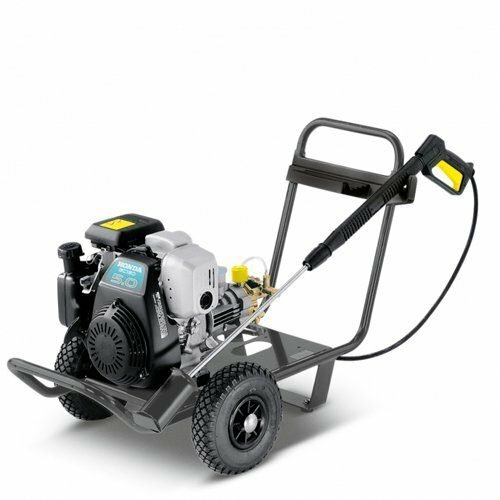 The machine is ideal for cleaning applications where no power supply is available. 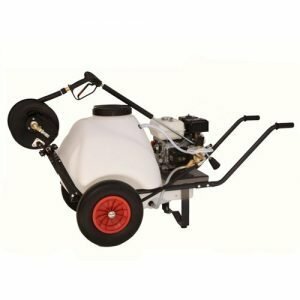 The compact engine and pump assembly is mounted on a tough, highly mobile chassis and the unit’s compact design makes transportation between sites easy. 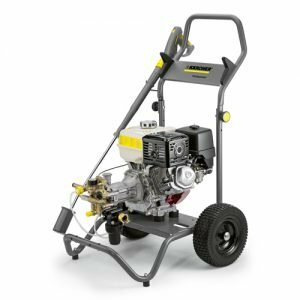 The air cooled 5.5hp Honda GX 160 4-stroke engine can operate for up to 2 hours continuously on a single tank of fuel. 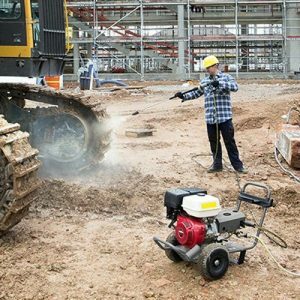 Large wheels and pneumatic tyres ensure easy handling and manoeuvrability, even on uneven terrain.